Funktion stocks replacement OE & Alcon rebuild bits and core calipers. We have been servicing and powder coating calipers for over 10 years. Whether you need a rebuild or want your calipers powder coated, we have you covered. 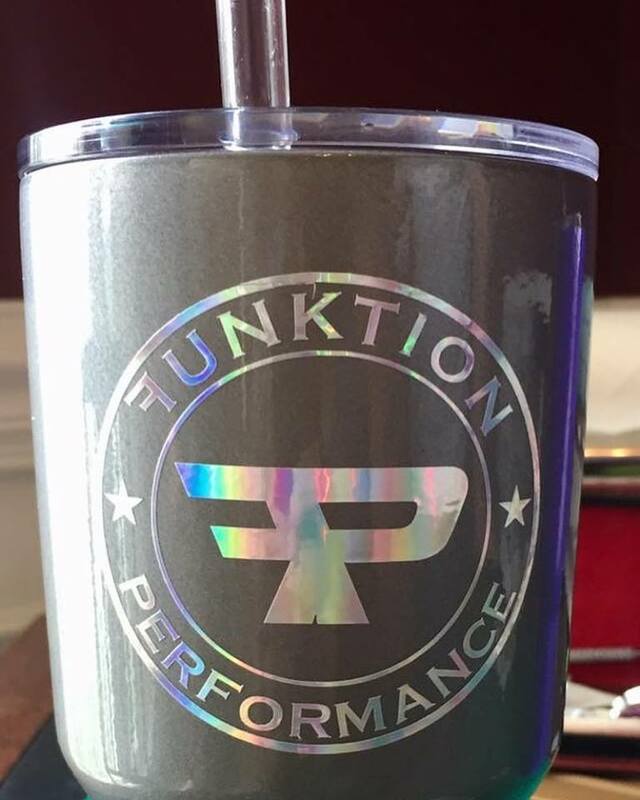 Note: If your color choice requires a clear or if you want flake or glow-in-the-dark additive there will be a $10 fee. Let’s start with the WHATS? Powder Coating has been around for about 50 years. It was developed when they found a formulation for a finely ground “plastic” powder. That was the beginning of the powder coating industry. The process of powder coating is done by first cleaning the part to a dry, bare metal surface, a special electrostatic spray gun with 30,000 to 90,000 volts, is used to apply a thin layer of “plastic” powder onto the surface of the part to be coated. The powder is held onto the part by static electricity. Kind of like dust on a TV. Once coated, the part is oven baked at approximately 400 degrees Fahrenheit. The curing oven melts the dry powder to a “gel state” and then further curing causes this gel to harden into a very tough “plastic” coating. This flowing and fusing of the coating in the final curing oven creates a continuous coating which is very hard and has no porosity. Now for the WHY? Powder Coating does not use solvents, there are no toxic chemicals released into the air, thus EPA regulation do not add expense to this process. Also, for about the same cost as professionally applied paint, powder coating offers a superior finish combined with an excellent durability that will extend the life of the part. It is particularly beneficial for parts exposed to harsher conditions such as moisture and chemicals. Powder coating does not fade and is very chip and crack resistant, flexible, and can be applied to all metals. Above prices include abrasive blasting, masking of all threads, preparation, and powder coating using a stock color. Cast aluminum and magnesium parts may experience an out-gassing and/or bubbling in the finished powder coat. We will take every precaution to avoid out-gassing, however, we can’t be held responsible for bubbling caused by porous castings. For a second coat, add 50%. Clear coat is required over all metallics and silver coating. Clear coats can be applied to almost all powders for a look of depth and gloss. A 25% additional charge applies for this service. NOTE: Some colors require a clear coat, (i.e., metallics, silver, dormants, etc.). If you decide to have us clear coat your parts after your initial run of part’s, A 40% additional charge applies. Powder can be applied over all your old chrome parts if media blasted. 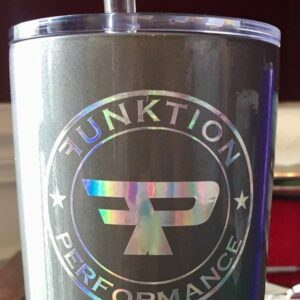 Funktion does not guarantee coatings over old, distressed chrome. Prices quoted are for “in Stock” colors. Custom colors are available at additional cost. Additional costs may vary due to color and quantity of powder ordered. 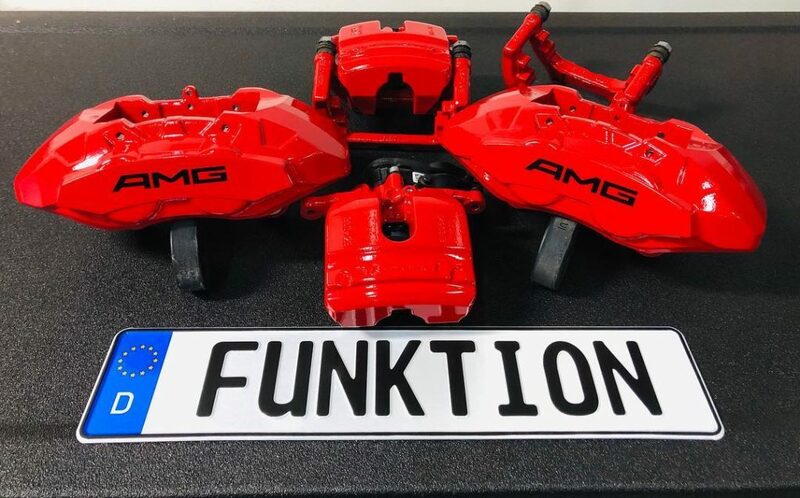 Additional charges will apply to “rush” jobs and for parts that remain in storage longer than 7 business days after powder coating has been completed and contact has been made for pick-up. Any items left for more than 30 (thirty) days becomes property of FC. FP assumes no responsibility or has no control over nicks, cuts, scratches or any other abusive wear and tear during any consumers usage once parts have been powder coated. Due to environment, consumer usage, metal construction and fabrication variances we are unable to provide refunds or warranties against damage or wear to our powder and ceramic coatings. All sales are final. No warranty over old chrome that has begun to corrode, flake, peel, etc. Not responsible for burnt powder coating if temperature(s) exceed the maximum powder coating temperature limit(s) (1000° for high temp powders – 300° for all other powders) once part(s) have been installed or used. 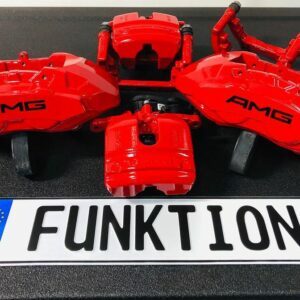 Funktion is a custom shop which requires ample time to ensure that each customer receives high quality coating and preparations — although we have a fast turn around of 7-14 days (some cases less, some jobs more) patience is always appreciated. Custom work and metal restoration requires a certain skill, technique, products, time and materials — we transform each piece of metal to a bare metal state–our prices reflect this. Price quotes are only a guideline and prices may change accordingly. REMEMBER: Glossy is not always better. We highly recommend that you choose a finish that will flatter your part’s condition. (i.e., Pitted parts and poor castings should be coated with a wrinkle/gator or vein finish.) FB can help recommend a coating for you. Highlights on raised surfaces: (i.e., valve covers & cylinders) additional . Two (2) tone colors, additional cost. Minimum shop charge billed at a rate of $75.00 per hour. Group pieces together if you are planning a single color choice. This will avoid additional set up charges. Parts must be clean and free of all oils, any degreasing by FP will be charged at $99.00 per hour. Parts must be totally disassembled. FP does not remove parts. (i.e., Seals, bushings, gaskets, bearings and races.) Any removal of parts/seals $99.00 per hour charge. FC will not reassemble any parts – all parts will be returned with coated piece(s). Parts cannot contain any bondo or body filler. Bondo will ruin the coating. Some minor imperfections may be filled by our process. Call for details.